CBSK Ironstate scored a $102.8 million condo inventory loan for the Lindley, a 74-unit project in Murray Hill, sources told The Real Deal. The 20-story building, located at 591 Third Avenue, has a total projected sellout of about $143 million, and was approved to start selling units in January 2017. It’s unclear how many units remain on the market. 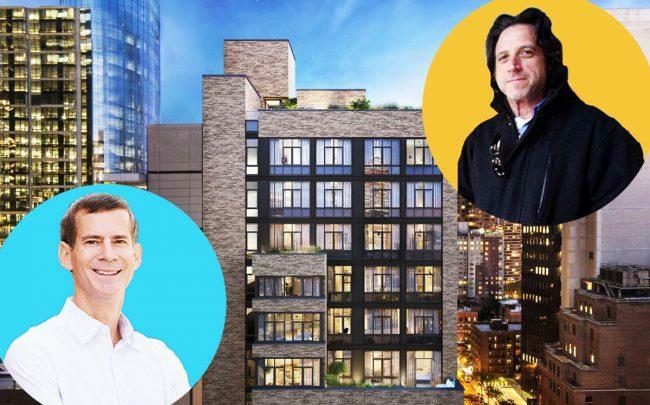 Deutsche Bank provided the financing to the developer, which is a partnership between David and Michael Barry’s Ironstate Development, Charles Blaichman’s CB Developers and Abe and Scott Shnay’s SK Development Group. The deal was brokered by Maverick Commercial Properties’ Adi Chugh and closed Monday. The developer and brokers couldn’t be reached for comment. CBSK Ironstate bought the site in 2014, paying $25 million for three adjacent five-story rental buildings. In June, CBSK scored a $250 million debt-and-equity package for its 222-unit condo project at 646 11th Avenue. Deutsche Bank provided the $181 million construction loan there. Condo inventory loans have made a big comeback in the market over the past 18 months, as many construction loans approach maturity and developers find that financing options are not as attractive as they were when they first took on their projects.